Before she started her comedy career, Susan taught in public schools; she owned and operated businesses; then she brokered the sales & acquisitions of main street and franchise businesses for “the largest business broker network in the world.” Currently, she has been performing and producing comedy shows for over ten years. 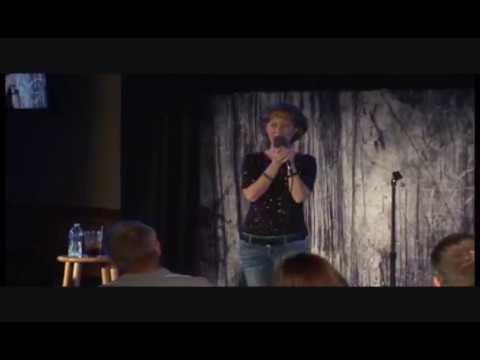 Her US comedy tours have spanned coast-to-coast through 28 states; her international tours have taken her to Kuwait, Iraq, and all over the United Kingdom. She’s performed in hundreds of shows and been a lead comic in over a hundred start-up shows. Thinking about hosting a comedy show at your club, church, or corporate event? Email for a free consultation. Let Susan personally answer your questions about show promotion, set-up, equipment, and expectations. Learn about appropriately matching comedy with your audience and receive a no-obligation quote. Susan works with an international network of performers and industry professionals. If she can’t personally meet your information and/or event needs, she will gladly refer you to someone who can.